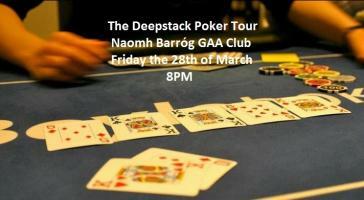 We are pleased to announce the Deepstack Poker Tour will be coming to Naomh BarrÃ³g on the 28th of March. Entry â¬20. With 3 Re- Buys or 1 Add-on â¬10 each. This event will be fully dealer dealt.